Yuck! Gross! No way! 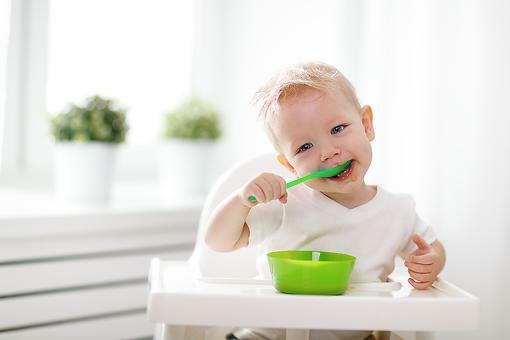 If you’ve got a picky eater, it’s a good bet that you’ve heard at least one of those statements at mealtime. Some kids are just resistant to trying a variety of foods. 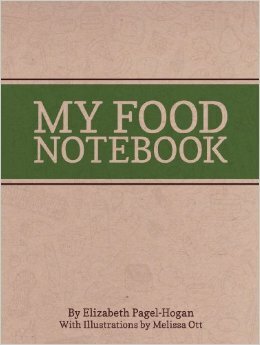 Luckily, we have Elizabeth Pagel-Hogan (@OneSweetWriter), author of My Food Notebook, on hand to help! 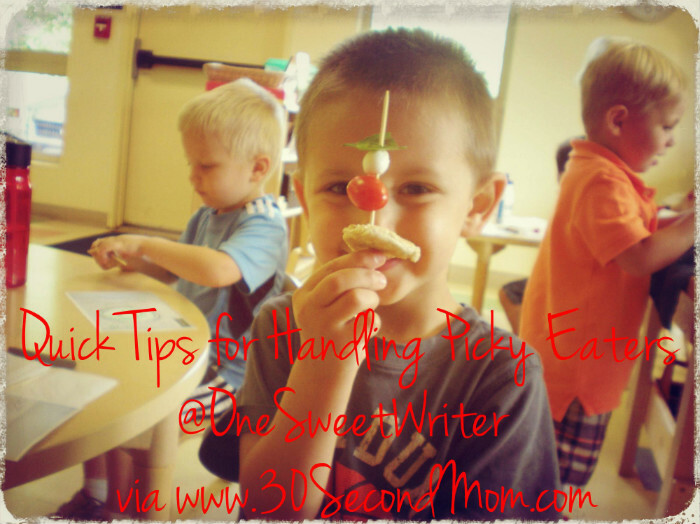 Q: How do you help your picky eater try new foods? Try offering small bites on sticks. Invite your picky eater to help you cook. Go on a shopping trip with your picky eater. Let them draw/write about their foods. Q: How do you get kids to eat foods they want to avoid? Kids eat with all five senses. Does it look good? Sound gross? Try prepping food in a new way. Cubed veggies often look better than mashed. Keep track of food successes. Q: How do you avoid dinnertime battles? Don’t use dessert as a reward or punishment. Remind them of times they’ve tried it and liked it. Q: How do you encourage your picky eater to be open to trying new foods? Often kids can’t remember foods they’ve tried. Help kids keep a list of what they have tried and liked. Don’t force kids to eat when they aren’t hungry. Q: How many times should food be offered to a picky eater? Parents often give up after two to three “yucks.” It may take up to 20 tries before a child decides they like a certain food. Kids need to see and smell before they taste. Make it familiar and offer choices of new foods. Q: What can parents do to encourage kids to try new foods? Modeling is a big part of parenting. It can be fun to go on a food adventure with your child. Record what worked and didn’t and try it again! 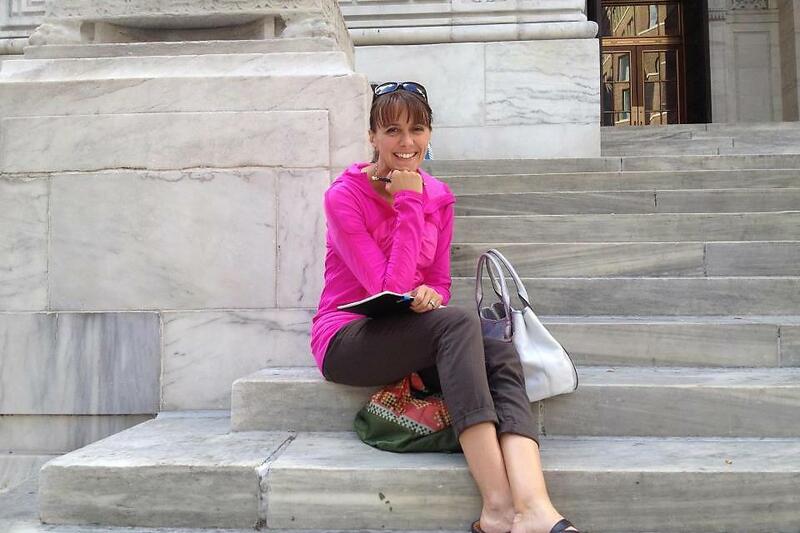 Make sure to follow @OneSweetWriter, like her Facebook page and visit her website! 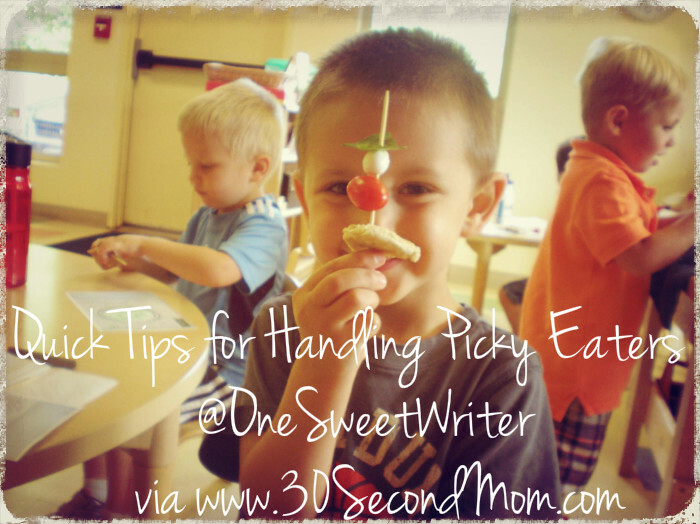 Pick Apart Picky Eaters: Quick Tips From Author Elizabeth Pagel-Hogan!